Ace Audio Visual is a market leader with over 20 years of experience supplying cost efficient conference solutions and technical expertise to various clients from a small half day conference to a 3 day event of up to 500 people. 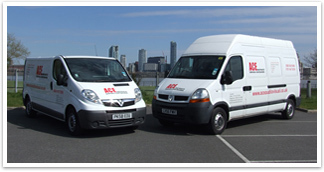 Based in Wirral, ACE Audio Visual work with a range of clients from across the North West in Merseyside, Liverpool, Cheshire and North Wales as well as the whole of the UK. If required, we will even travel abroad to fulfil the needs of our clients. 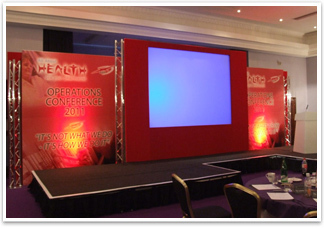 We provide the total package of bespoke presentation sets, conference graphics logos, staging hire, PA systems, rear projection, plasma screens and lighting. Our skilled team are on hand to set up your event for you but can also assist you with technical support, project management and equipment servicing. We also have an extensive range of off the shelf hire AV equipment consisting of plasma screens, PowerPoint projectors, projection screens, laptops, portable PA systems, exhibition display panels and staging. To find out more on how we can assist you with an upcoming conference event, both large or small, as well as the wide range of AV equipment that we have available for hire, phone us on 0151 647 5816. Below are a select few of our clients. We believe our clients make it easy for us to provide the best service we can give. © ACEAudio Visual 2015. All Rights Reserved.